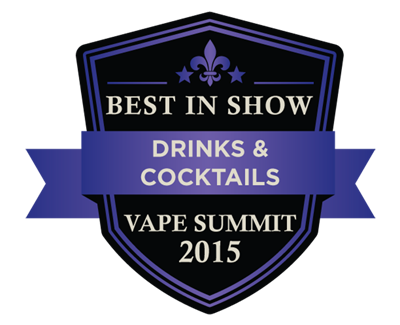 Today we are back to give you another Review, but this time it’s for e-Juice. 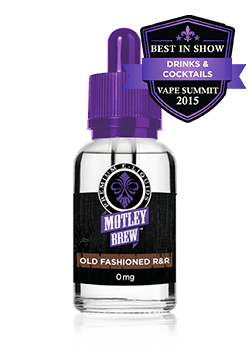 This is the Motley Brew e-Juice Review, and as always we start with our preliminary write up. We like to give you as much information as possible so you don’t have to wait two weeks for the full review.We have included pictures and the full e-Juice descriptions directly from the manufactures website.Ok that’s it for now, stay tuned to this page for updates on the Motley Brew e-Juice Review. You can subscribe to the newsletter in the box below to stay up to date with all of our reviews, deals, and current review updates. 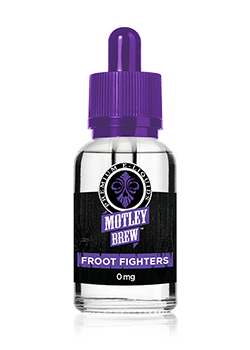 You can buy the awesome Motley Brew e-Juice @ Direct Vapor and get Free Shipping with all orders, no minimum purchase required. Your newest addiction, this one’s on a mission from God! When the finest darkly roasted European Espresso is blended with luscious undertones of Madagascar vanilla bean cream, further enhanced by a perfect blend of mildly sweet tobacco and notes of delicately rich butterscotch, you’ll be taken for a ride with the most indulgent of flavors. This boldly sweet treat will take you down to pearadise city with the essence of exotic lychee, coupled with the juiciest pears on earth, and then blended perfectly in silky French vanilla bean cream. A sprig of fresh mint finishes this ambrosius brew for a cooling, yet contrasting delight. A recipe from our European tour that always made our hearts sing. Delicious freshly-baked cakes engulfed with warm, wild blueberries and rich praline pecans makes for an exceptional flavor that’s sure to prove unlike any other. A dusting of powdered sugar completes this seductive dessert, one to enjoy on every vape. A delectably sweet and juicy candied melon medley including chilled watermelon, vine-ripened cantaloupe and honeydew plus a few undisclosed recipe treats! Delectable and mouthwatering, this melon felon will leave you breathless in its delicious wake. A mélange of tart granny smith and ripe red delicious apples bathed in a brown sugar glaze, then luxuriously layered with rich, Tahitian vanilla custard. This masterpiece is then crowned with caramelized cane sugar and lightly salted caramel drizzled on top. Behold this decadent pleasure! The finest premium whiskey, a dash of spicy bitters, aromatic citrus notes, and a touch of raw sugarcane highlight this remixed rendition of the classic Old Fashioned. Old school soul; remastered for absolute pleasure. Direct Vapor = Free Shipping !